December 25th in WordPress Themes by Wordpress Jedi . Every credible business and organization needs to have a professional presence these days. That applies to police/fire departments and security businesses. 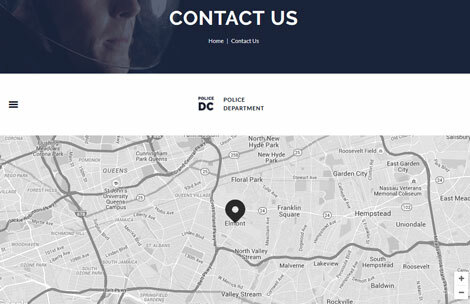 Police & Fire Departments for WordPress is a professional theme with a responsive design and boxed & wide page layouts. It is coded in HTML5 and CSS3. This theme is fully responsive and ready for Retina displays. Webmasters get recent posts, popular posts, top 10, ad, social icons, and other custom widgets to add content to your site. 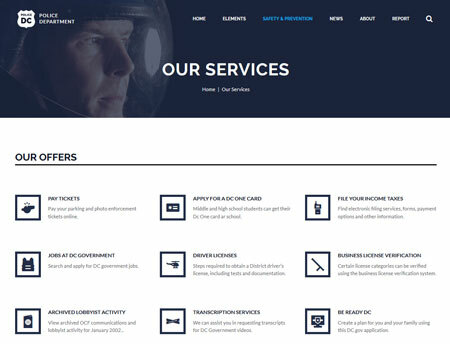 The Police & Fire Departments theme has an AJAX search system. It is compatible with Essential Grid, Slider Revolution, Visual Composer, and PO Composer.